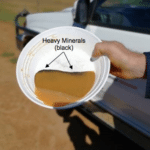 Image Resources has achieved first production of heavy mineral concentrate (HMC) from the Boonanarring mineral sands project in the North Perth Basin, Western Australia. 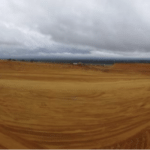 The $235 million Boonanarring project site was nearly completed by the end of September with removal of final overburden, while wet commissioning had commenced by the last week of October. This period of wet commissioning is set to continue for the next two to four weeks as Image ramps up towards steady production. Image managing director Patrick Mutz said completing construction and achieving first production on schedule provided confidence “that the remaining development hurdles will be cleared”. 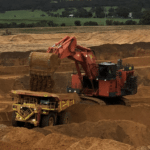 “Production of first HMC product is perhaps the most memorable achievement of every mineral sands project,” Image managing director Patrick Mutz said. Image is set to ship around 220,000t/y of HMC to China from Bunbury Port; around 130,000t of this takes the form of ilmenite (titanium-iron ore), and another 60,000t of zircon, which is scheduled to increase to 70,000t/y in 2019–20. According to Image’s Boonanarring bankable feasibility study, zircon prices are expected to rise from 2018 to 2022. Image expects to achieve positive cash flow from Boonanarring by the end of the first quarter of next year. The site hosts JORC resources of 43.8Mt at 5.6 per cent heavy minerals (HM) and 20.7 per cent combined zircon and rutile.